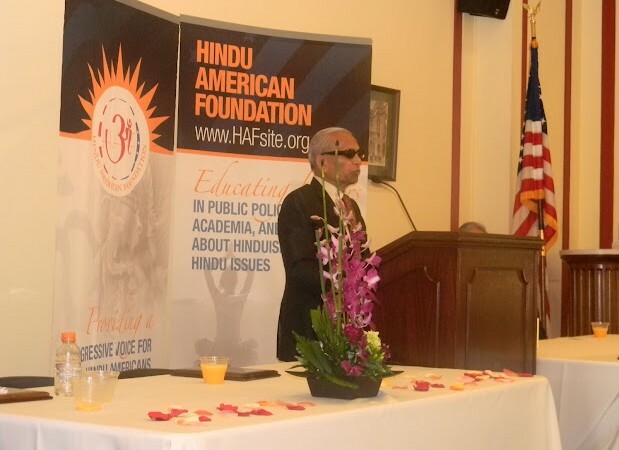 IDRF President Vinod Prakash was recently awarded the Hindu American Foundation’s Dharma Seva Award for his tireless service to Indians of all faiths. “It is an honor to be recognized by an organization rooted in the values of pluralism, tolerance, and understanding. IDRF shares those values, as we serve all Indians regardless of faith, sect or creed,” said Dr. Prakash, accepting the award at a Capitol Hill reception in September. He thanked IDRF’s donors, volunteers, and staff for their contributions to the organization. Since its founding in 1988, IDRF has devoted over $25 million dollars to grassroots development in India, benefiting hundreds of thousands of marginalized people. Our programs range from empowering villagers to fight corruption to supporting mobile medical vans in remote regions. We carefully monitor and vet our local partners to ensure that donors’ money is used responsibly.